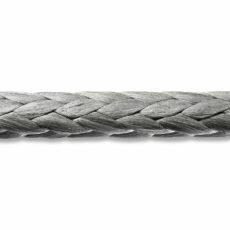 A 12 strand Dyneema® rope product – Ocean 3000 can replace wire rope in most applications. It offers superior strength to weight ratios, easier handling, it floats and is spliceable in the field. It is lighter than steel, easier to transport and safer to use when working above ground for pulling cables. Each spool consists of 656ft of rope.